This black bathroom suite collection has a gloss black ceramic outer with a white inside producing classically contemporary styling. 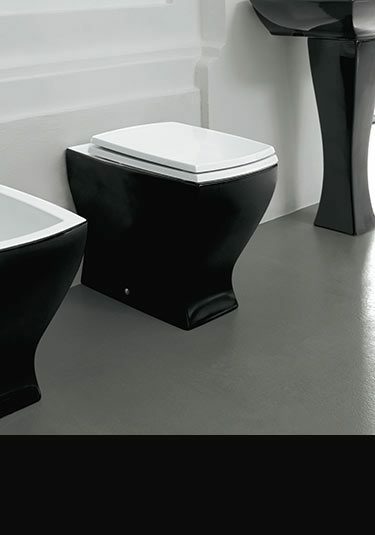 This black bathroom range includes basins and black toilets with matching coloured bidets, plus lovely quality built in black baths. This range has all the fittings required for an exclusive black bathroom design. 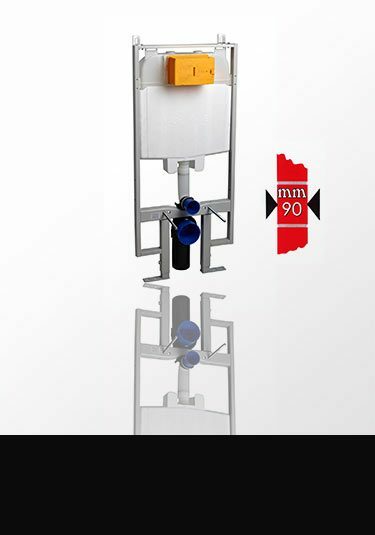 Italian designed and manufactured ensuring high quality and beautiful design. 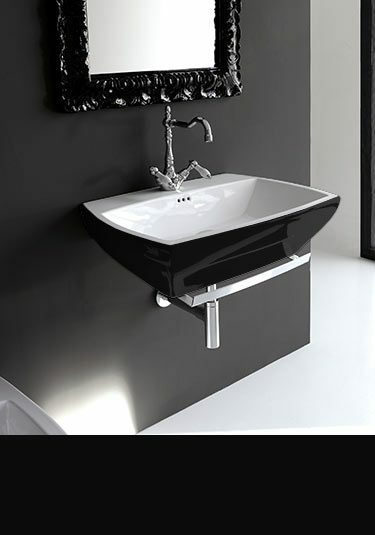 All black bathroom suites are covered with a 5 years guarantee. 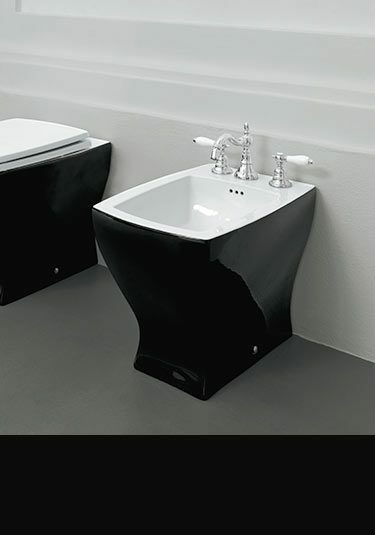 From a coloured bathroom suite collection, this Art Deco styled basin with a pedestal look smart in its black livery. 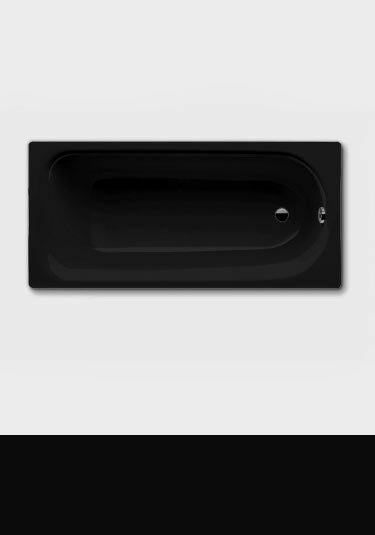 A stylishly smart black wall hung basin with a white ceramic inside. This coloured basin can be supplied with a chrome towel rail. 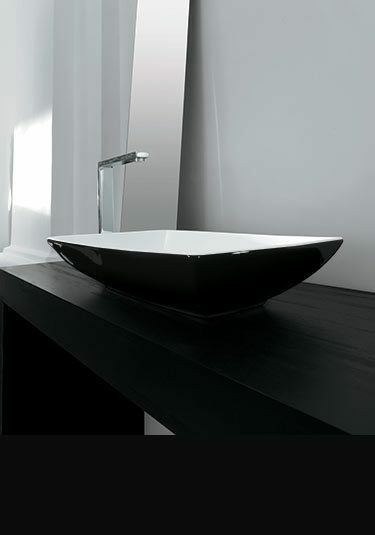 A beautiful fluted counter top wash basin that offers luxury bathroom design with its black ceramic outer and clean white inside. 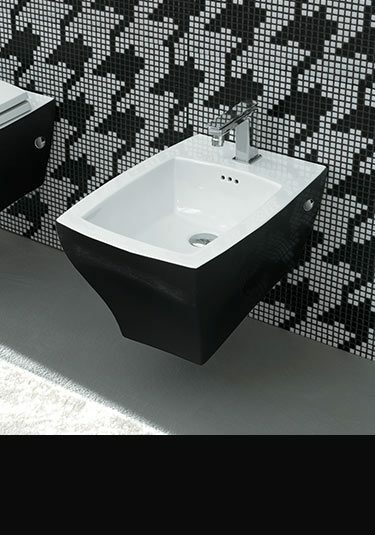 A luxury black and white floor standing basin. This freestanding sink is impressive with its tea cup styling and would not fail to draw comment. 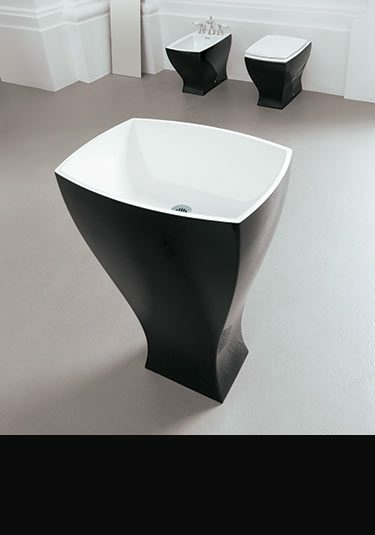 An Italian designed floor basin made in a one piece ceramic. 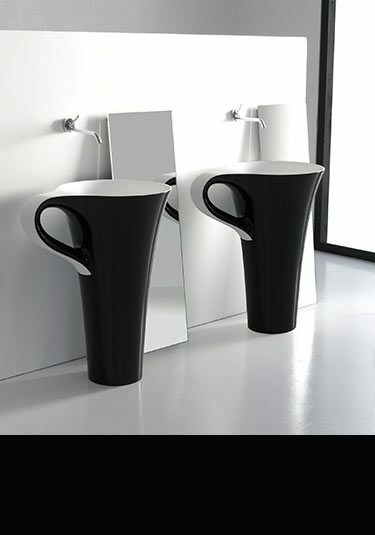 This freestanding wash basin is an exclusive design with its smart black and white coloured finish. A high design wall mounted toilet finished in black with a white inside and soft closing seat. High quality Italian design. 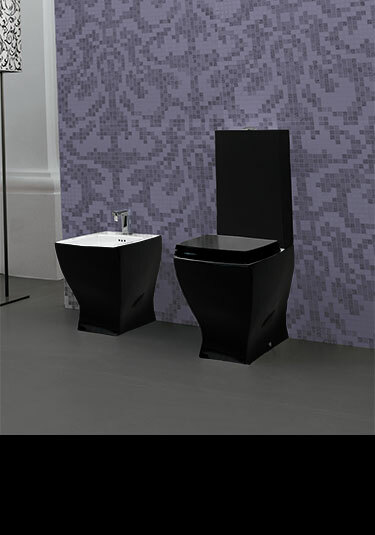 An attractive black fluted back to wall toilet with a white inside and soft closing seat. Designed and manufactured in Italy. 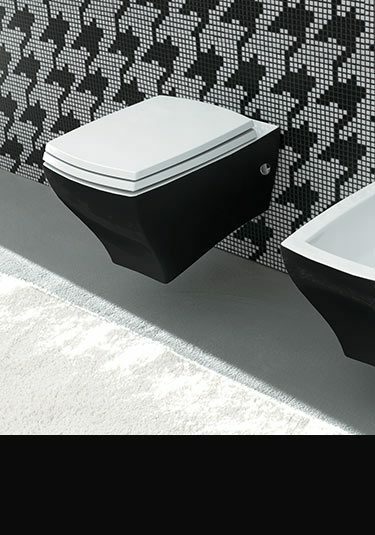 Italian designed black and white toilet with a combined cistern is a impressive design finish to a luxury designer bathroom. A high quality European manufactured bidet with black styling. Each designer bidet has a white inside to contrast. Ideal for niche but highly attractive interior design. 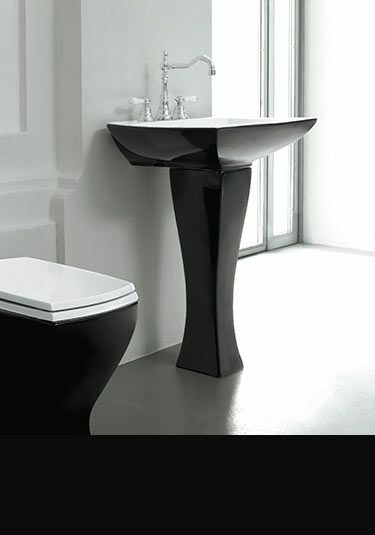 Classical styled black bidet with contemporary Art Deco influences. Ideal for individual high quality bathroom design. Beautiful and very comfortable black bath with white inside. This freestanding coloured bath is made of solid stone resin which adds a designer feel to any luxury bathroom.